OMG Posters! 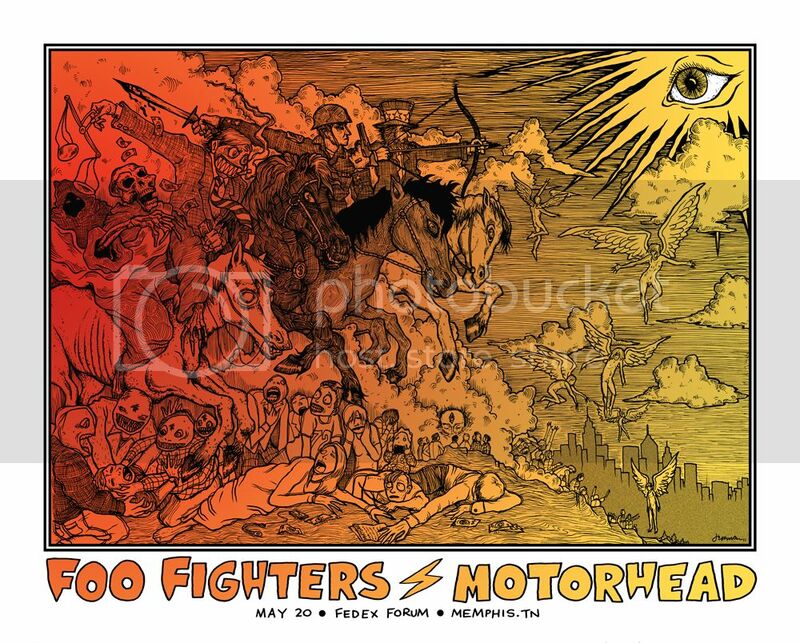 » Archive Foo Fighters / Motorhead Poster by Jermaine Rogers (Onsale Info) - OMG Posters! Wow, I’m loving Jermaine Rogers going back to his old style here. His new poster for Foo Fighters and Motorhead is a 23″ x 30″ screenprint, has an artist edition of 50, and will cost $50. It goes up tomorrow (Tuesday, May 24th) at 12pm Pacific Time. Visit JermaineRogers.com. How many in the total run? ?